British composer Gerald Hugh Tyrwhitt-Wilson was decidedly eccentric - even among his notoriously odd fellow British aristocrats. He was famous for dyeing the pigeons on his ancestral estate in bright colours (aided by the woman who became Stravinsky’s second wife) and keeping a clavichord in his chauffer-driven Rolls Royce. But in fact he devoted his life to artistic activity, especially after 1918, when he inherited a title, money and estates from his uncle and became the fourteenth Lord Berners. Berners was a fine and entertaining writer. His paintings sold well. Songs like Come on Algernon were popular. His ballet scores were commissioned by Diaghilev and set by Balanchine and Ashton, and his chamber works are still performed. He even shows up in novels, including his own Far From the Madding War (included in Collected Tales and Fantasies (Turtle Point)), as Lord FitzCricket, and his friend Nancy Mitford’s The Pursuit of Love as Lord Merlin. Dresden is the fourth installment of Berners’ autobiography. Like his songs, this volume is short but eloquent. It covers a period starting in 1901,when he was eighteen, and went to Germany to study for diplomatic service. He was a remarkably cultivated, observant and enthusiastic young man. “When first Richard Strauss swam in to my ken,’ he writes, ‘I could think of little else. The sight of a Richard Strauss score in a shop window was like meeting the beloved one at a street corner.” Although he thinks about writing a play when trying to write music, and, when working on the play, thinks about painting, he was by no means, even then, a mere dilettante. We see the formation of an imaginative and original early 20th century composer with a refreshingly modernist outlook. What makes his memoir especially delightful is Berners’ highly evolved self-awareness. We get no hint of his flamboyant homosexuality, which is hardly surprising given the repressive laws in Britain when this was written, a few years before his death in 1950. But we do get suggestions of the depression – which he here calls ‘accidie’ – which plagued him in later life and apparently contributed to his creativity. There’s certainly no dearth of books on Mozart’s operas, But Mary Hunter’s companion stands out for its ability to appeal to both aficionados and those just starting to explore the operas. True, her plot summaries can easily be found elsewhere. And while she assumes that readers don’t know the meaning of basic concepts like ‘aria’ and ‘recitative’, a frequently misused term like ‘rococo’ is left unexplained. Indeed, some of her definitions are not very helpful, such as describing ‘castrati’ as ‘castrated men’. But when it comes to the history and meaning of the operas, Hunter offers informed and thought-provoking insights. Her thorough knowledge of all things Mozartean – not just the operas - illuminates this study. 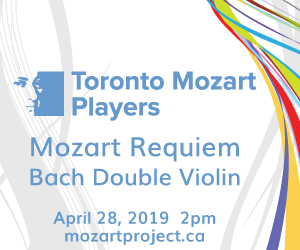 Her emphasis not only on Mozart’s setting of voices but also his use of the orchestra provides fruitful perspectives on Mozart’s ability to bring the librettos to life. The text is clearly laid out, with each opera discussed in a separate chapter. On each page the chapter heading is placed clearly at the top – an obvious but too-rare conven-ience for readers. For those of us whose passion for the music of Berlioz is greater than his usual position in music history would warrant, this collection of twelve essays holds special appeal. For one thing, rather than merely offering analyses of individual works, it examines the place of his music in his own time and milieu. The emphasis on his writings about music throws light on both the music and the man. Editor Peter Bloom has gathered essays from the heavyweights of Berlioz scholarship to pin down what makes Berlioz unique. Cultural historian Jacques Barzun, whose pioneering two volume biography Berlioz and the Romantic Century revolutionized the study of Berlioz’s music when it was published almost sixty years ago, sets the tone for this collection by linking Berlioz’s music with his life and his writings. It’s not, as is often said, his use of descriptive titles, most notably in Symphonie fantastique, that makes his music sound like no-one else’s. “Nobody but the tone-deaf”, writes Barzun, “could believe a piece of music could tell a story.” Instead, for Barzun, it’s his use of melody as a structural element that defines him. Gérard Condé, like Berlioz both a critic and composer, reveals Berlioz’s “astonishing capacity to find equivalents in speech to the subjective effects produced by the music.” In this way he accentuates why something is done in the music rather than how it’s done. The Toronto Symphony Orchestra performs The Damnation of Faust by Berlioz on February 26 and 28 at 8.00 in Roy Thomson Hall.